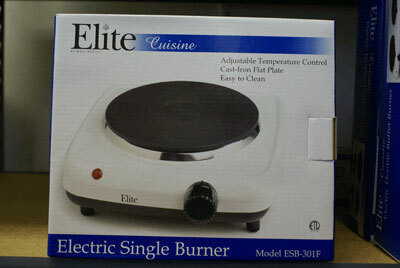 A easy to use Electric single burner with adjustable temperature control. Cast iron flat plate and easy to clean. The element is enclosed so wax won't drip onto element. This unit is rated at 1000 watts.